Seeing big cats in the wild is the dream of every wildlife lover, but it is also something that only very few people in the world ever get to experience. Not only aren’t there many wild cats left in the wild, but the places where you can see them roam freely aren’t easy to reach – they are far away, mostly ‘off the beaten trail’, and expensive to get to. And yet there is something so captivating and majestic about seeing especially the five largest big cats – tigers, lions, leopards and snow leopards, and jaguars (those are the ones that can roar) – and smaller ones like cheetahs and pumas (those are the ones that aren’t able to roar) in the wild, that wildlife lovers add it to their bucket lists. 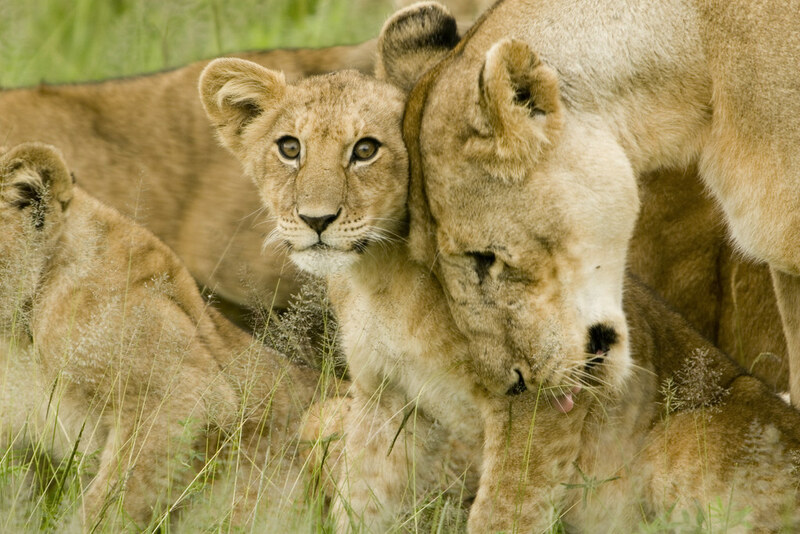 If you want to see as many different big cats as possible in one trip, Africa is the place for you. On the entire African continent, there are now fewer than 25,000 left – a rapidly disappearing population because of hunters and a rising human population claiming their land, and you have to visit a wildlife conservancy to hear lions roar in the wild, or even better, watch them hunt. Seeing lions is almost guaranteed on any African safari, which usually promise sightings of the Big Five (elephants, lions, leopards, rhinoceros, African buffalo). 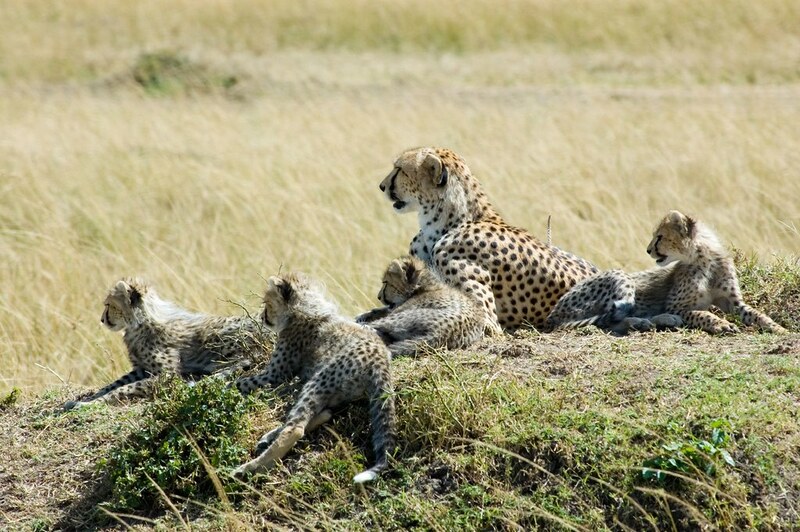 Tanzania is the African country that has the largest numbers in terms of wildlife, especially if you want to see cheetahs, which are the world’s fastest mammal, with sprints that can reach up to 70 miles per hour (114km/h). There are about 200 of them in Serengeti National Park, more specifically in the Namiri Plains (Namiri means Big Cat in Swahili). In addition to cheetahs, Serengeti National Park is home to 3,000 lions, and if you’re lucky, you’ll spot leopards there as well. Another great place to see lions, leopards and cheetahs in Africa is Kenya’s Maasai Mara National Reserve, famous for its high population of wildlife and the fact that all of the ‘Big Five’ can be found here. Like in Tanzania’s Serengeti National Park just across the border, you can witness the Big Migration here between July and October, when 1.5 million wildebeest migrate through the Mara Region. 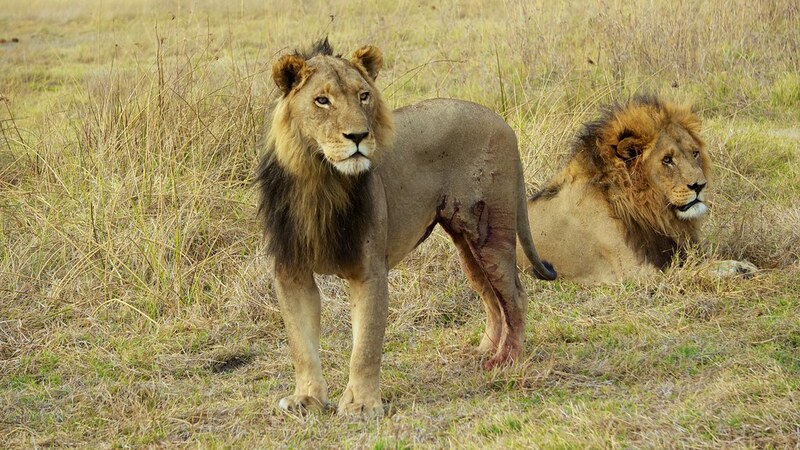 During that time, lions can often be spotted preying for wildebeest along the shores of the Mara River and you often even get to see them take down their prey. To get a photo like the one above, make sure to invest in some very good camera gear – if you don’t come equipped with super zoom lenses, your wildlife photos won’t look anything like this. A very good camera, a zoom lens with stabilization, and a fast memory card (to capture every single moment quickly) are key. The tiger is the most awe-inspiring big cat – the largest in the world, weighing up to 660 pounds (300 kilos). Today, less than 4,000 tigers still roam freely, making it the most endangered of all big cat species. 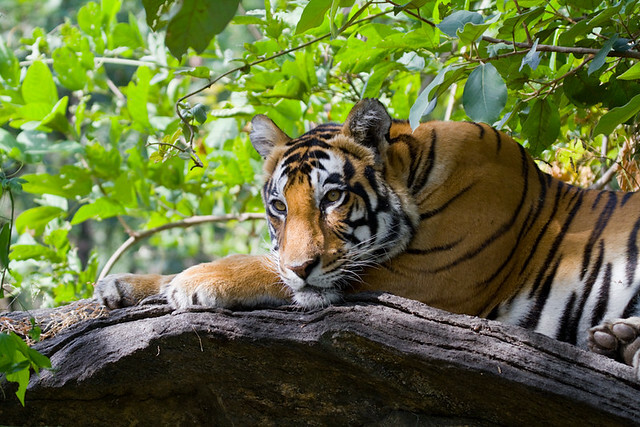 The best places to spot one are India and Nepal, particularly India, where the regional subspecies, the Bengal Tiger, makes up for the largest number of remaining tigers in the wild: there are reportedly around 1,700 tigers on the subcontinent. The state of Madhya Pradesh in Central India has not one but two tiger reserves: Kanha Tiger Reserve and Bandhavgarh National Park. The tiger density in Bandhavgarh National Park is one of the highest in the entire country, with about 50 tigers, which means that here tiger sightings are almost guaranteed. Kanha Tiger Reserve has less tigers, but sightings are almost 100% guaranteed on a safari here as well. April to June are the best months for tiger safaris, and the more days you can spare, the higher your chances for tiger sightings. For other places to see tigers in India, check out this CNN article. 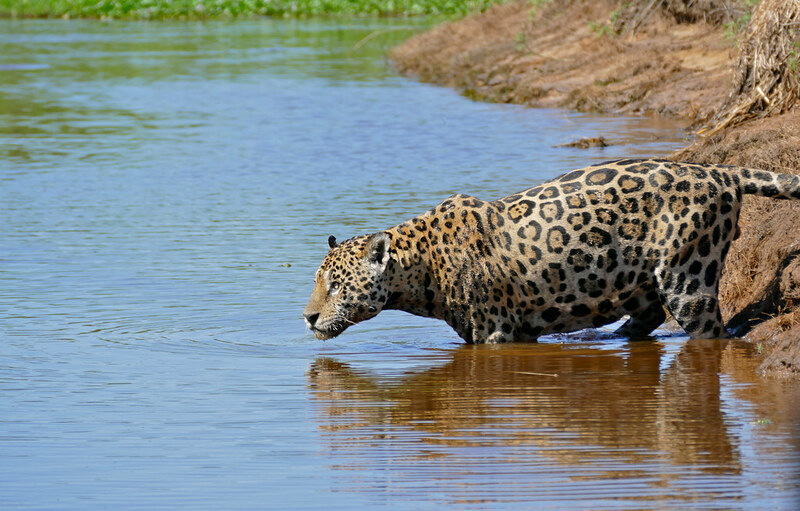 If you are traveling to South America, you can see two different big cats on your trip (if you are lucky, of course!) – jaguars in Brazil and pumas in Chile. To see jaguars, which are the third largest cats after lions and tigers, you will have to travel to one of the most remote places in Brazil: The Pantanal. The Brazilian Pantanal is the world’s largest inland wetland area, spanning an area estimated at between 54,000 and 75,000 square miles (140,000 and 195,000 square kilometers). It is located in the southwestern part of Brazil, reaching all the way into Bolivia and Paraguay. The two Brazilian states that make up the Pantanal are Mato Grosso and Mato Grosso do Sul. For jaguar spotting, Mato Grosso wins by a large. Between July and September, during the dry season when water is low in the Cuiabá River, many jaguars come out to hunt during the day and enjoy chilling along the river. 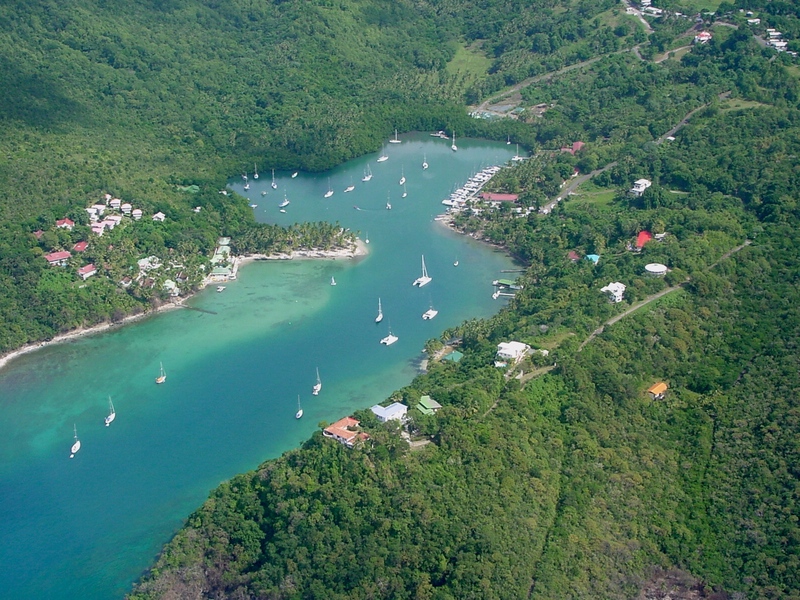 Excursions are usually done by boat, which allows for fantastic undisturbed wildlife watching. During the dry season, visitors report up to three jaguar sightings in a single day, and often you can witness a hunt firsthand! If you have time for another elusive wild cat, head down to Chile from here to see pumas in the wild. They are known to be extremely fast and can run as fast as 50 miles per hour. Not only that, they also can jump 18 feet (around 5.5 meters) in the air. 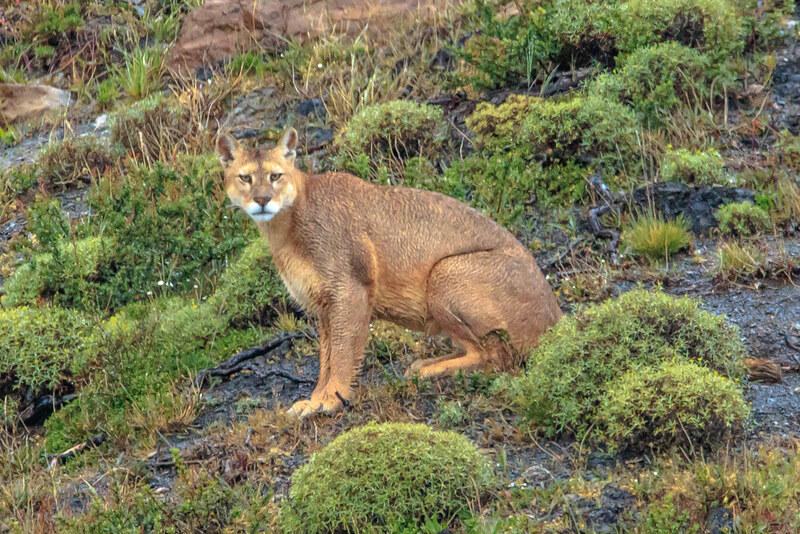 You can see pumas in the far south of Chile, in Patagonia. Torres del Paine National Park, named after the imposing Torres Del Paine massif, is where they live – but you can hardly ever see them without a guide who knows their favorite hangout spots, since pumas are very shy animals. The closest airport, Punta Arenas, is four hours south of here, which makes you aware of just how isolated this part of the world is. 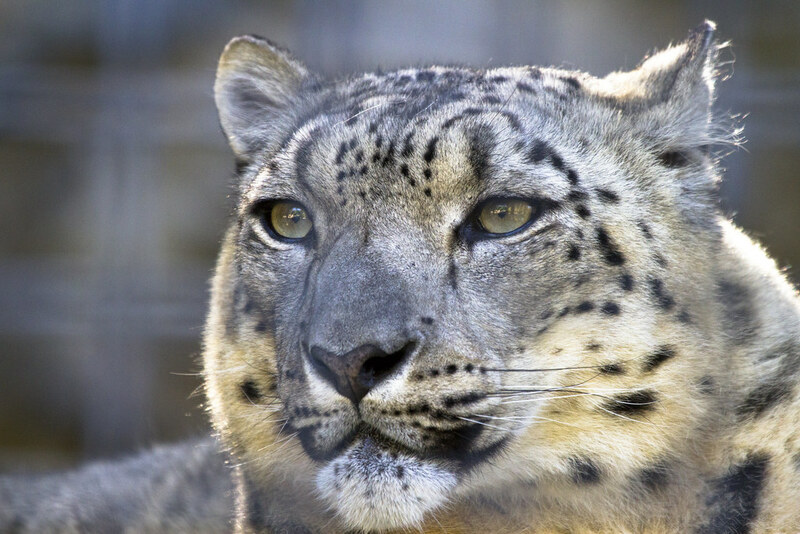 To see snow leopards in the wild, you will have to make more of an effort than for any of the other big cats. Because of their low numbers (it is estimated that there are between 4,000 and 6,400 left), it is extremely rare to see them in their natural habitat, and your best chances are in Hemis National Park, a high-altitude National Park in the eastern Ladakh region of Jammu and Kashmir in Northern India. Hemis National Park is home to around 200 snow lions, but seeing them is not an easy task. It involves high-altitude camping where temperatures drop to -13Fahrenheit (-25 Celsius) at night and hour and hours of scanning the snowy slopes in hopes to spot the rare white coated cat, and for many lovers of big cats, a trip to see one represents the ultimate challenge. No motorized vehicles are allowed inside the park, which means the only way to get around is to trek, and due to the park’s remote location, it is quite difficult to get here – flights only connect Leh, the closest town (3 miles from the park) with larger cities such as Delhi, between June and September, but the best season to spot snow leopards is winter, between late January and March. Since trying to see snow leopards in the wild is not an easy undertaking, I recommend you check out Bloomberg’s What to Know Before You Go Tracking Snow Leopards at 13,000 Feet. Seeing leopards in the wild was one of the highlights of my Sri Lanka trip for me, and I can highly recommend an open-jeep safari to anyone dreaming of a leopard encounter. The wild population of leopards here is estimated at 700 to 950 individuals – quite a large number considering the small size of the country. These amazing animals with their distinctive yellow coats, covered with dark spots, can reach up to almost 220 pounds (100 kg). You have the best chance to see these majestic cats in the wild in Yala National Park, which is known to have the highest density of freely roaming leopards in the entire world. The closest town to the park is Tissamaharama, but there are several hotels right outside the park, and if you want to go all in you can stay in a luxury resort, the Wild Coast Tented Lodge, right inside the park. There are no fences or boundaries, allowing you to watch wildlife right from your breakfast table. The best time of year to see leopards in Sri Lanka is between March to October when the water tables are getting low and many animals come out to the lakes to drink. 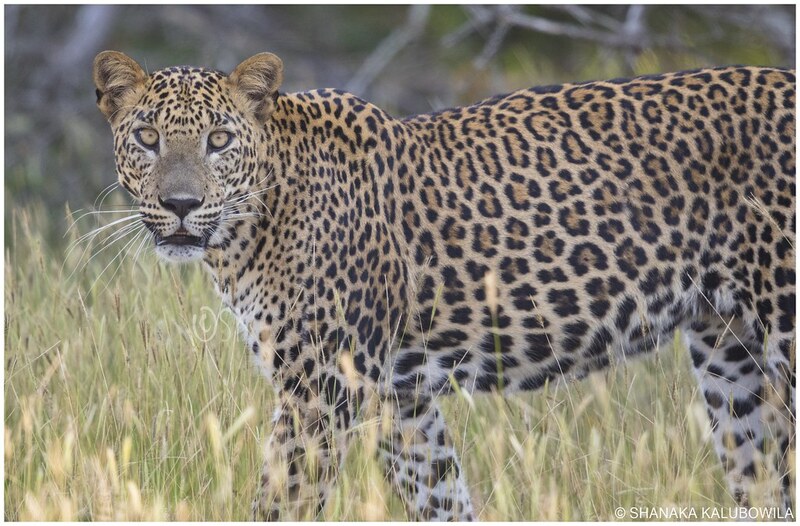 Even though the odds to see leopards in the wild here are extremely high, it is advisable to plan in a couple of days so that you can go on safari more than once, increasing your chances to spot one or several of these beautiful cats. Travelling with a group is a lot of fun. Don’t try to make your itinerary too complicated as this can be difficult to deal with people that probably have different interests. Here are seven brilliant destinations for a group holiday. Since the papers have been raving about the snow in the Alps this winter, I’ve increased this list to 7 with a seasonal addition. If your group is looking for a winter trip, St Anton is an excellent choice. 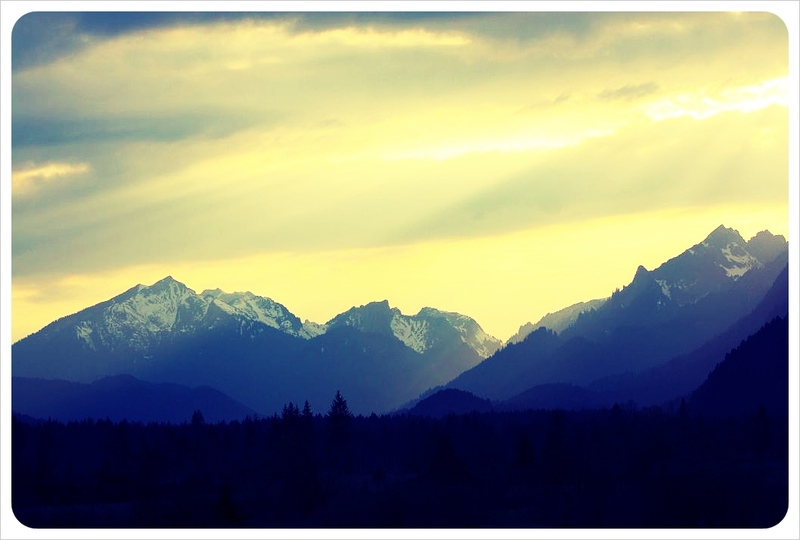 I lived in Tyrol for a while, it is a stunning place at any time of year and this is by far the region’s most popular ski resort. You can ski or snowboard 305km of trails and 200km off-piste on top of that. And if, like me, you’re not a fan of being tied to wooden boards, you can explore cosy cafes, hiking routes and wellness centres. Be sure to visit the Museum which tells of local history. Even if you’re not keen on history, it is in a very picturesque chalet building, used in the film Chalet Girl and has a nice restaurant. You can book out your own chalet for the group to crash out in and enjoy cosy fireplaces, hot tubs and wonderful mountain views. Also be sure to check out the après ski in the Mooserwirt and Krazy Kanguruh, which are two of the most popular mountain bars in the world! 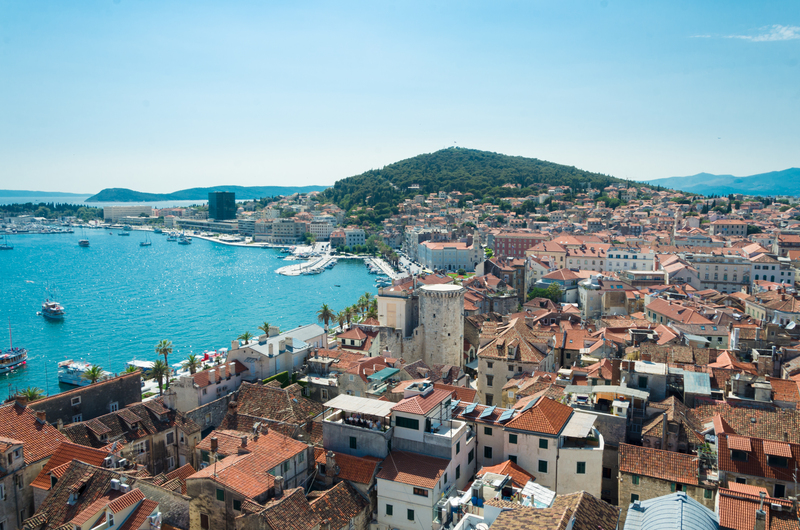 Split is a town that is located on the Dalmatian Coast of Croatia and it is popular for its beautiful beaches and the Diocletian’s Palace, a fortress like complex at the center of the city. The Palace was erected in the 4th century by a Roman Emperor and is a popular tourist attraction. The palace has over 200 buildings within it including shops, cafes, bars, houses and hotels. Take a stroll along Riva, a seafront promenade lined with palm trees, restaurants and a square with white marble flooring. Spend a day at Marjan, a popular trekking attraction with trails, forests, and spectacular views of the city. 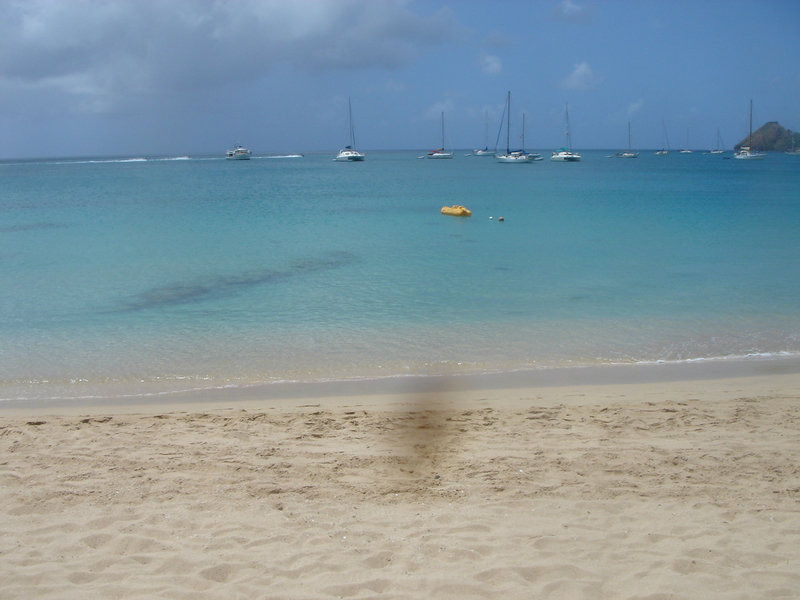 The beaches are stunning so be sure to visit Bacvice Beach and Firule Beach to bask in the sun. The Cotswolds is the largest AONB (Area of Outstanding Natural Beauty) in England and is an excellent destination for a group holiday. There are many spectacular buildings that showcase different eras of architecture that you can visit. The Cotswolds are also known for fine cuisine for meat eaters and vegetarians alike. England is a vegetarian friendly country so if you have a vegetarian in your group, then they will be happy here. If your group enjoys walking and spending time outside in the countryside, then the Cotswolds is the perfect choice. Iceland’s capital city Reykjavik is a popular destination for a group holiday with its stunning beaches and museums that trace the country’s Viking history. You can visit the Golden Circle which showcases the Gullfoss waterfalls, geysers and Thingvellir National Park. Reykjavik is also known for its pub culture and the parties begin around midnight after people have had their share of alcohol. The Nauthólsvík is a beach with a manmade hot spring and is a popular attraction to spend a day with a group. You can also visit Laugardalslaug, a large Thermal heated swimming pool that is heated all year round. 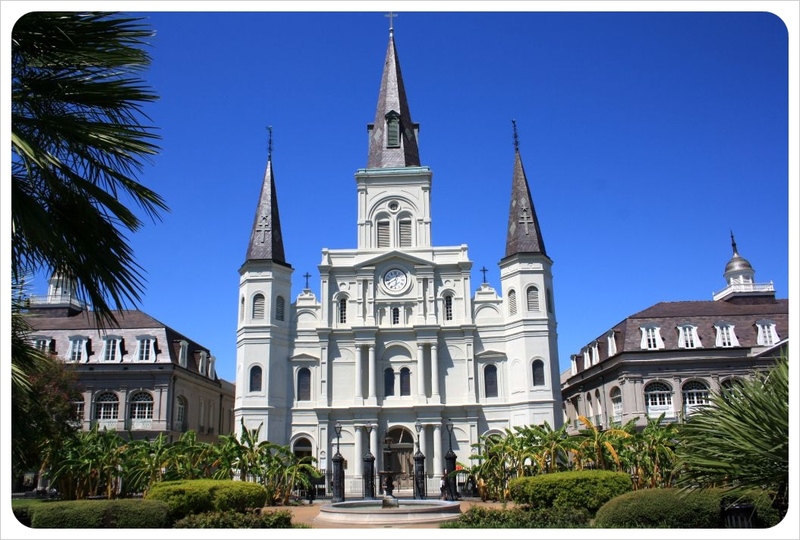 New Orleans lies beside the Mississippi river and is a popular destination for a holiday due to its round the clock nightlife, fine cuisine and vibrant live music scene. It is popular for its late winter festivals: Mardi Gras and New Orleans Jazz & Heritage Festival. You can spend your time in Bourbon Street with lively bars and cafes and is also a home to Creole and Cajun restaurants. The Frenchman Street in Faubourg Marigny is a popular destination to watch live bands performing Jazz, rock and blues music. A few other attractions are the Aquarium of the Americas, Audubon Zoo, Lake Pontchartrain and Mercedes-Benz Superdome. 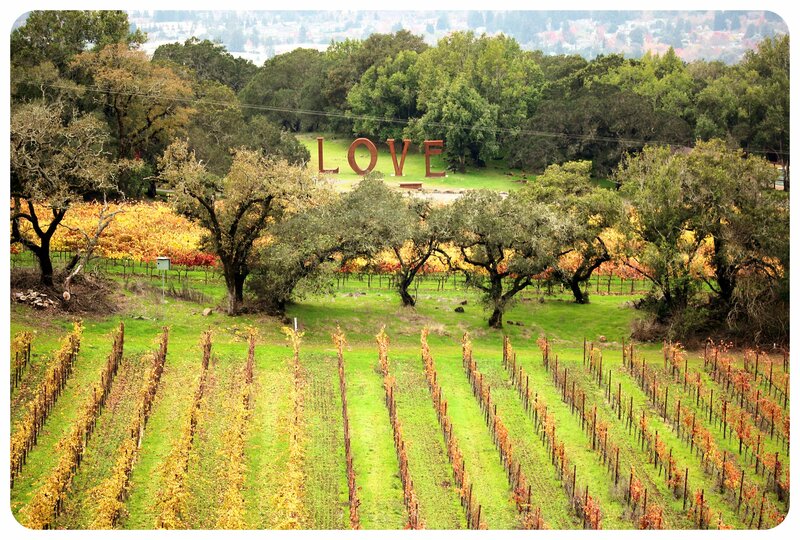 Napa Valley is a wine region in California and has over hundred vineyards set with a background of rolling hills. 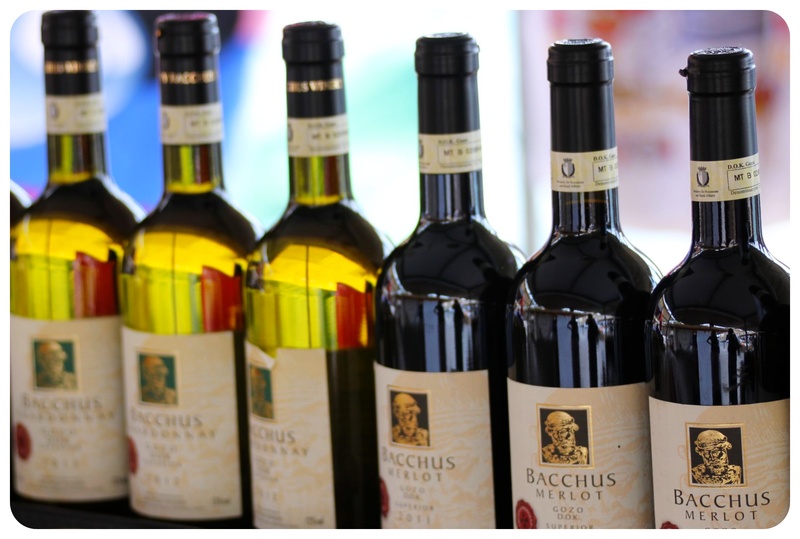 It is also famed for its gourmet food and some of the finest wines to taste. You can visit the Robert Mondavi Winery which hosts several live events and also has wine tasting throughout the year. You can have a wine tasting on the Napa Valley Wine Train with views of the vineyards. You can visit the town of Calistoga popular for its mud baths and hot springs. You can also visit Castello di Amorosa which is a Tuscan inspired castle for a wine tasting and dining. Imagine stepping out of a private jet instead of the cheap flights to be greeted by a crowd of locals. Imagine being welcomed with a garland that smells heavenly and a mock-tail that tastes mouthwatering. 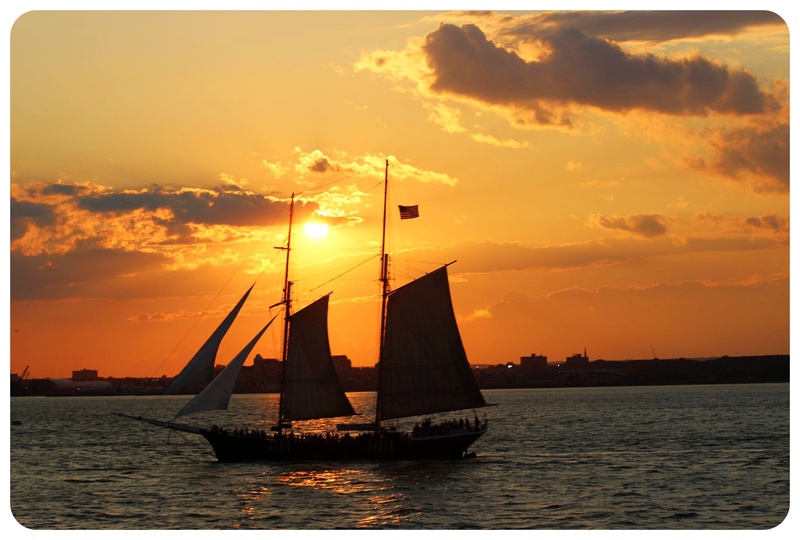 Imagine sailing down a compact boat and letting your fingers sweep past the clear blue waters of the ocean below. Imagine waking up to the melodious call of the birds and letting the warm sunshine leave a peck on your cheek. Does it not sound heavenly to you? This heaven is no more a dream today. With Bora Bora becoming one of the most coveted tourist destinations in the world, you can now experience the mirth of heaven standing humble on the earth. Read the article to find out why escaping the hidden boundaries of Bora Bora is out of the question! 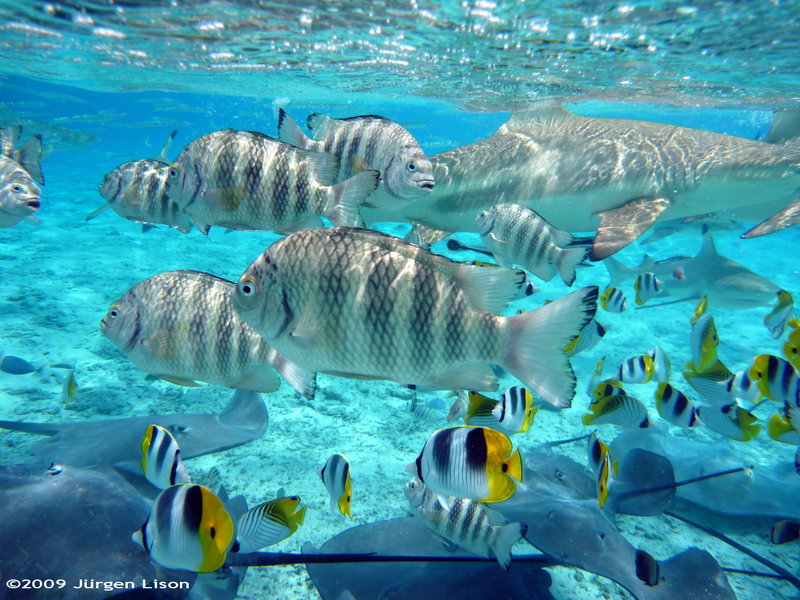 Unnaturally Beautiful Surroundings: Bora Bora is the queen of French Polynesia. Hence, you can surely try to image how beautiful the surroundings can be. As a tiny island situated far away from the hectic life that people are leading in the world, Bora Bora is a natural paradise. 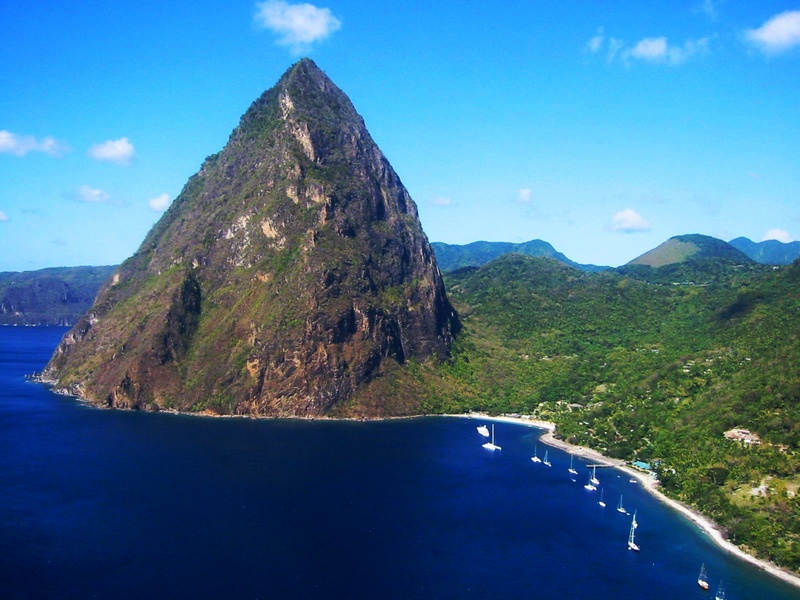 This island has a shimmering coastline that kisses the intense blue waters of the ocean. Lined with green foliage, swaying in the breeze, that takes the tourists to the pollution-free interiors, Bora Bora is a gem. The birds singing a melodious strain are a wonderful sight. 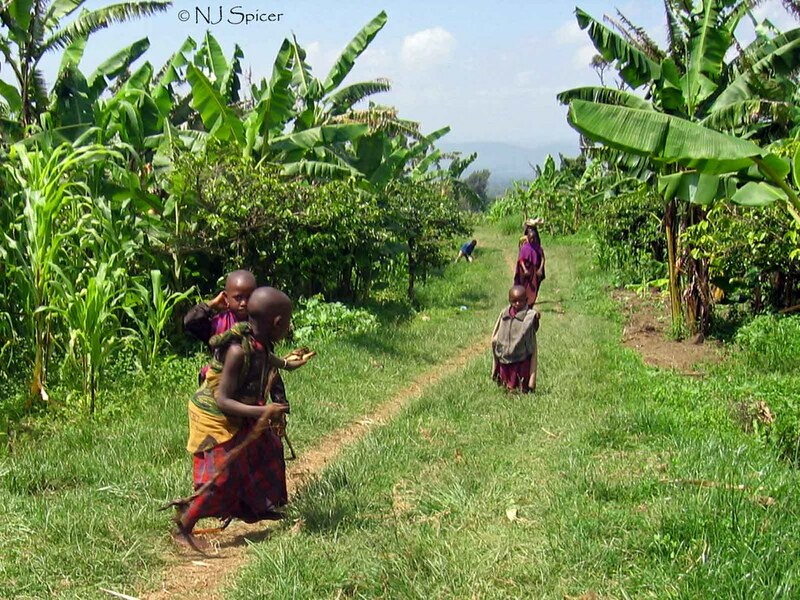 The small huts and the locals dancing in glee will surely make you feel rejuvenated. 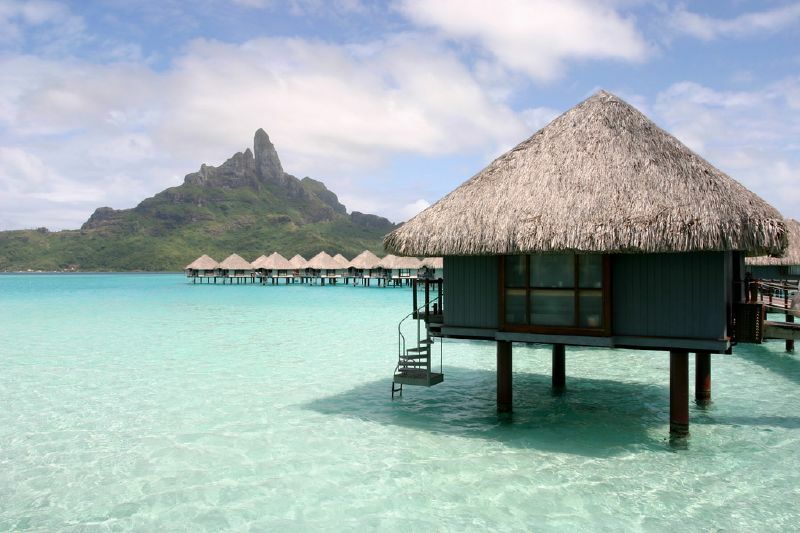 A Homely Stay: Bora Bora has an excellent climate that attracts tourists who live especially in the snow-clad places. This beach is blessed with ample sunshine. To sustain the temperature, the resorts and hotels on this island offer small huts with thatched roofs to the tourists. Most importantly, Bora Bora gives you the feeling of a homely stay at the seven luxurious resorts that have been constructed there in the past few years. You have surely seen several photographs of houses standing on stilts while the peaceful blue water is giving them a mirrored appearance. These huts are the first of their kind in the world and are definitely a major tourist attraction. Chance to Dress like a Diva All the Time: All of us are so busy running from home to work and back to home again that we don’t feel like dressing up even if we have a date during the weekdays. At Bora Bora Island, you will be able to look like a princess every day. You can walk the cane bridges barefoot and wear a floral tiara. You can even get a black pearl ornament customized to wear as a necklace or a wrist band. Moreover, as the climate is tropical all the year round, you can walk on the beach in cool summer attire that will help you to capture fantastic photographs to take back home. In terms of both hospitality and beauty, there are practically no islands in the world that can compete against the impeccable beauty of the Bora Bora Island. 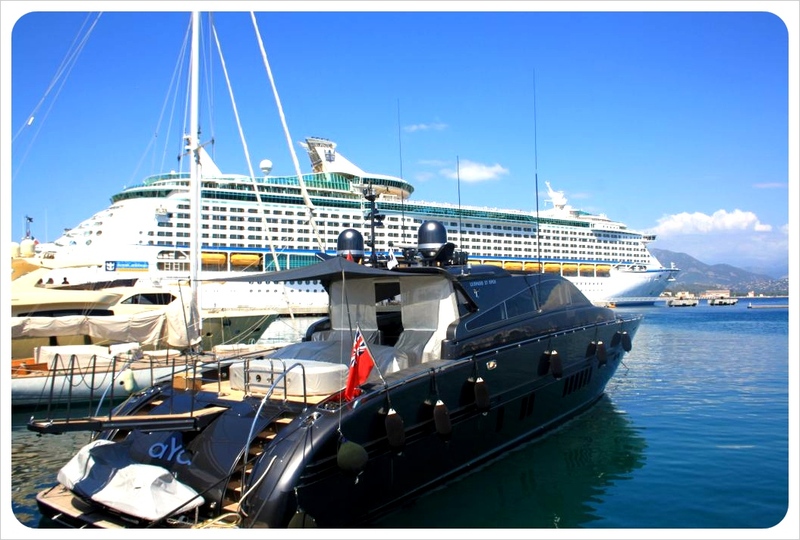 Thus, the next time you think of boarding cheap flights to top islands, travel to Tahiti by an international flight and take a local jet to Bora Bora then. 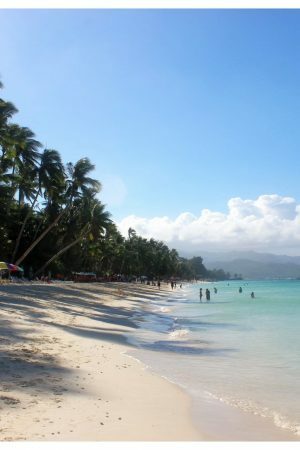 You will definitely enjoy the warm welcome of this paradise. There are many interesting places in the world that are filled with scenic areas and fascinating history. 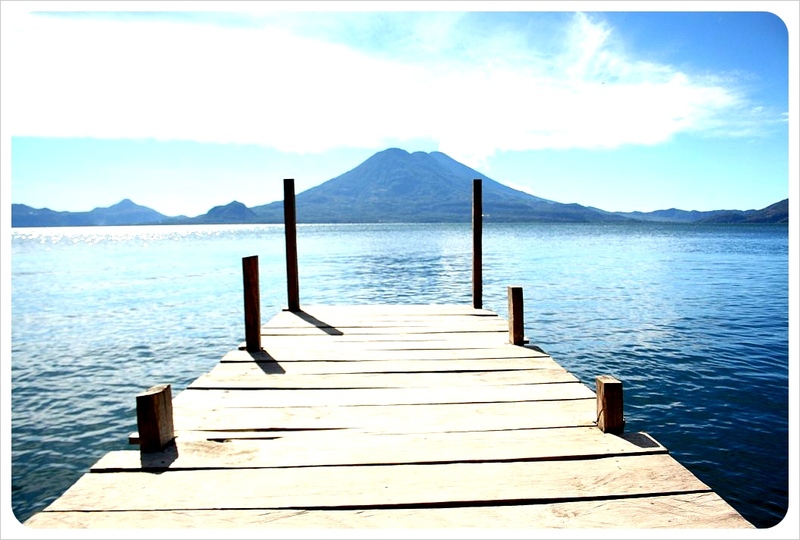 Here are five holiday destination ideas to inspire you. 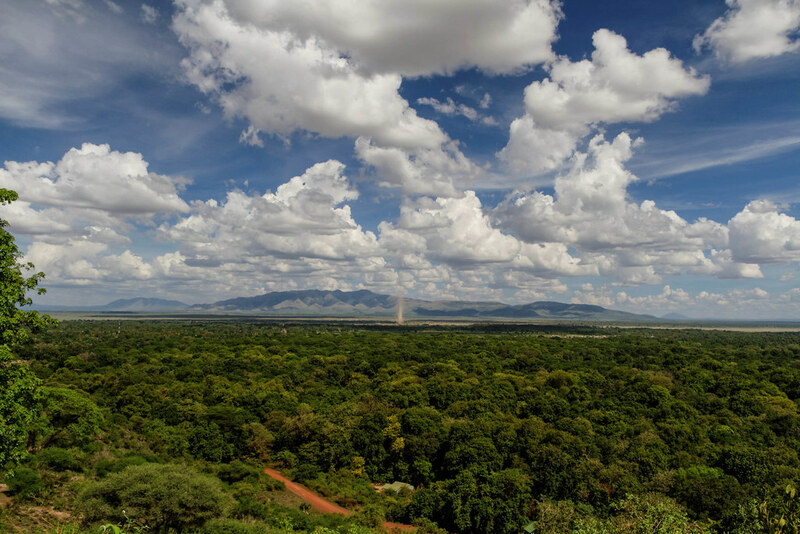 Cambodia has a history of extreme violence but the country on its own is stunning, and there is plenty to do. 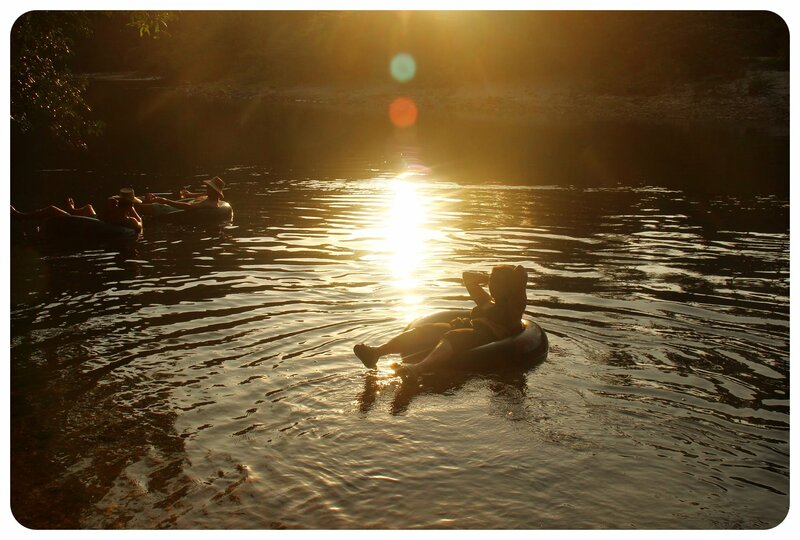 If you want to explore the beautiful nature you can visit Phnom Kulen which is a mountain range in Siem Reap Province known for its waterfalls. Explore Botum Sakor National Park which houses the Asian elephants and other endangered species. Spend a day at the Phnom Tamao Wildlife Rescue Centre which is also a zoo and a park. Make sure you visit Phenom Penh and explore Tuol Sleng Genocide Museum and view the iconic temple complexes in Angkor Wat. Havana is known for its museums and colonial architecture and there are plenty of beautiful hotels where you can stay. 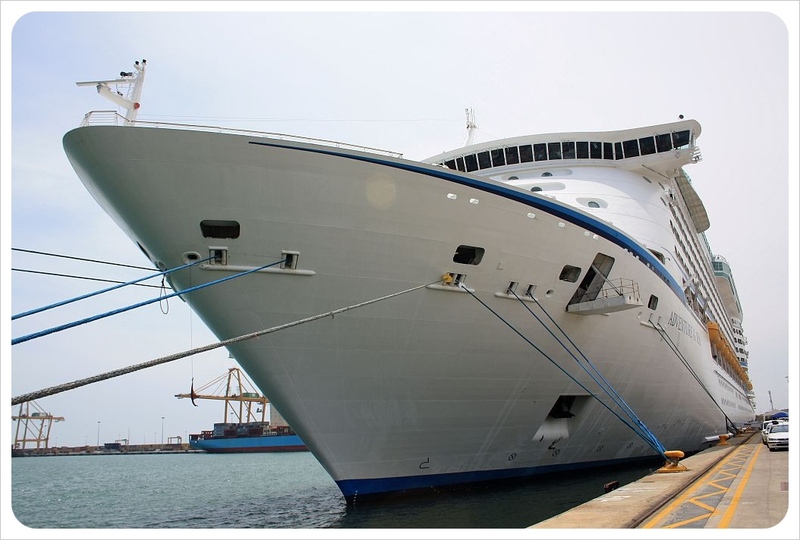 Visit the Museum of the Revolution which has several historical exhibits and Fidel Castro’s famous yacht. Visit La Cabaña which is an 18th century fortress that holds cultural events and a nightly canon-firing ceremony. The Gran Teatro de La Habana is a palatial theatre which is now home to the Cuban National Ballet. You can visit the El Capitolio, or National Capitol building is now home to the Cuban Academy of Sciences. You can walk along the 7km long Malecón while exploring the city of Havana. Havana Cathedral, Palacio de los Capitanes Generales and Christ of Havana are few other places to visit. 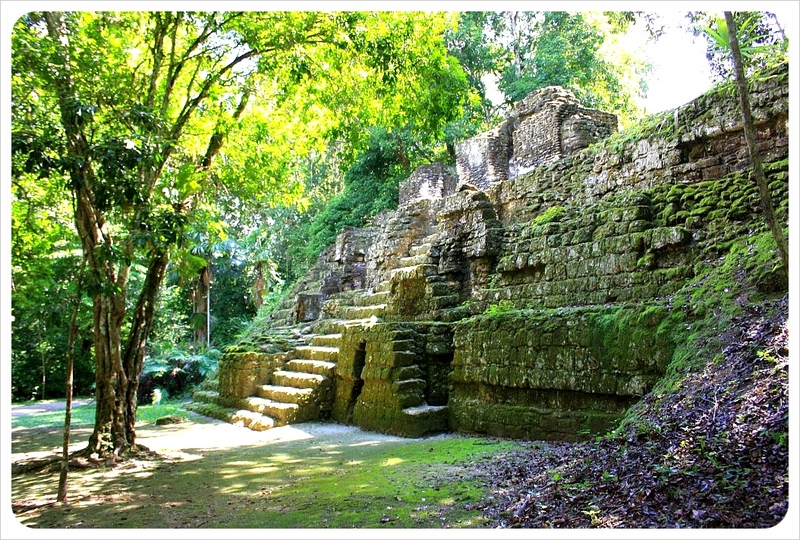 The Tikal National Park is 500 sq km and is built around an ancient Mayan village. The village flourished during 6th century BC until 10th AD. 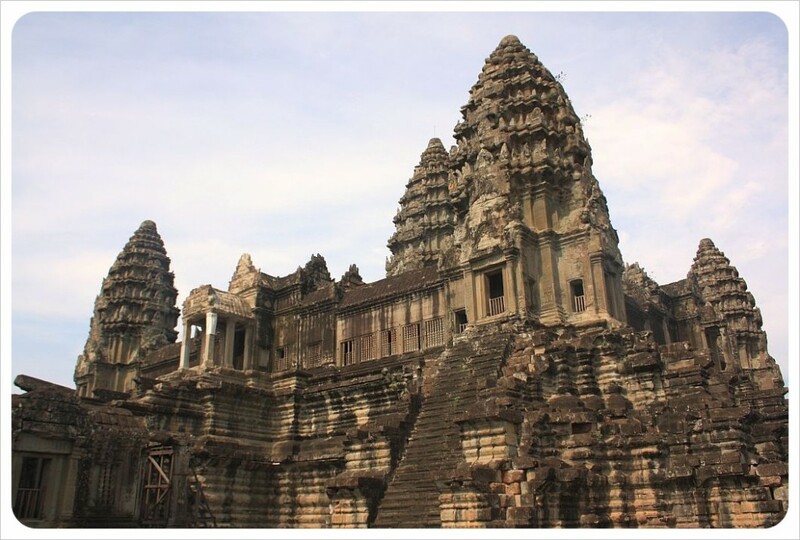 The ancient temples are well preserved and you can wander through the park on your own or take guided tours. Visit The North Acropolis which served as a center for funerary activities for over 1300 years. Visit the historical landmark of Complejo R which is a twin pyramid complex. You can visit all the Tikal temples I through V during your stay in the park. There are accommodations in the park and you can take a shuttle service to different areas. Picardy has a rich history. It was a home to the popular writer Jules Verne. You can visit Jules Verne House while you are in Picardy. Visit the Parc Astérix which is a theme amusement park and is based on the popular comics Asterix. Visit the Amiens Cathedral famous for its carvings and decorations, and Chaalis Abbey which is now an art museum. 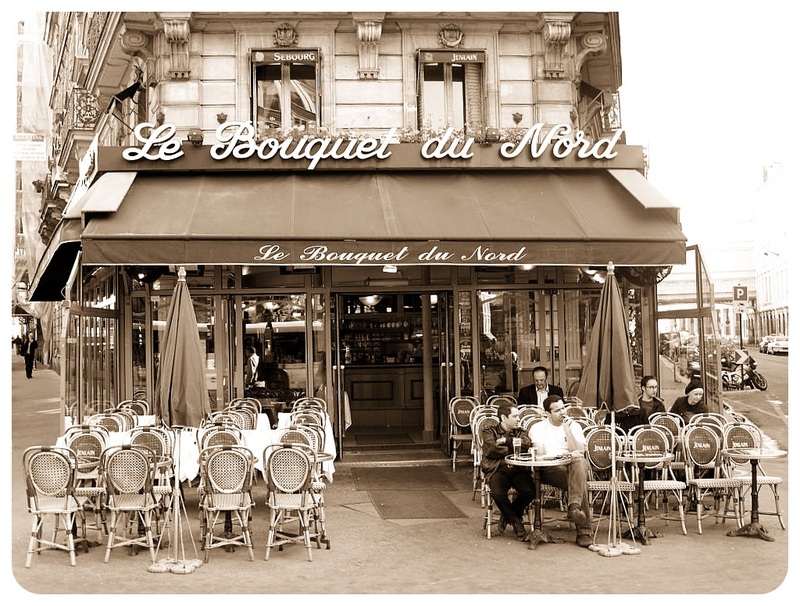 Treat yourself to a cafe au lait in a typical French cafe and soak up the French way of life. If you are not claustrophobic you can visit Caverne du Dragon which is a museum and a cave. London is a 21st century city but the history dates back to Roman times. 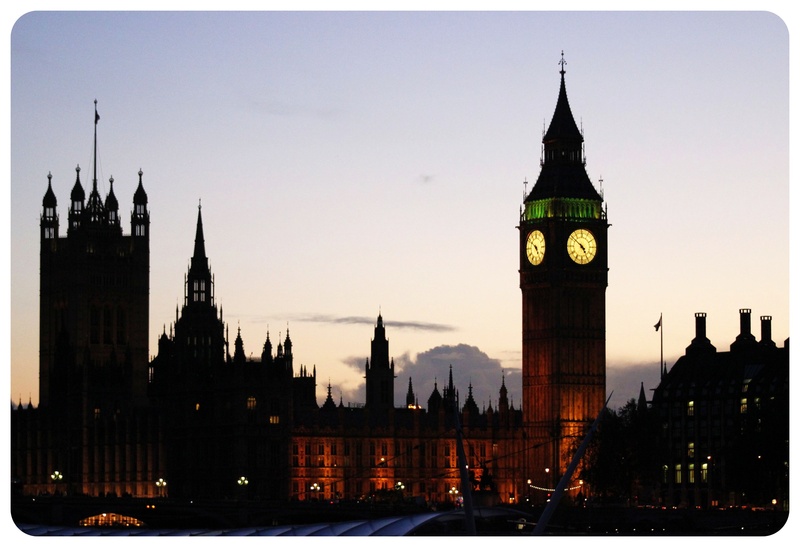 Take a tour and visit the Big Ben which is a Gothic clock tower and part of the Houses of Parliament. You can visit the Tower of London, The Buckingham Palace, The Tower Bridge and the British museum which are iconic locations in the city. You can visit St Paul’s Cathedral, The Palace of Westminster, The Shard and The Royal Albert Hall to watch the stunning architecture this city has to offer. You can also take guided walking tours that will point out areas of significant historical note. Hamburg and Auckland both feature in the Economist’s 2017 top ten “most liveable” cities in the world, and have maintained their position from 2016. What do these cities have to offer and how are expats benefiting? From the culture, and standard of healthcare, to the overall quality of life, this article explores what makes these cities so attractive to expats. 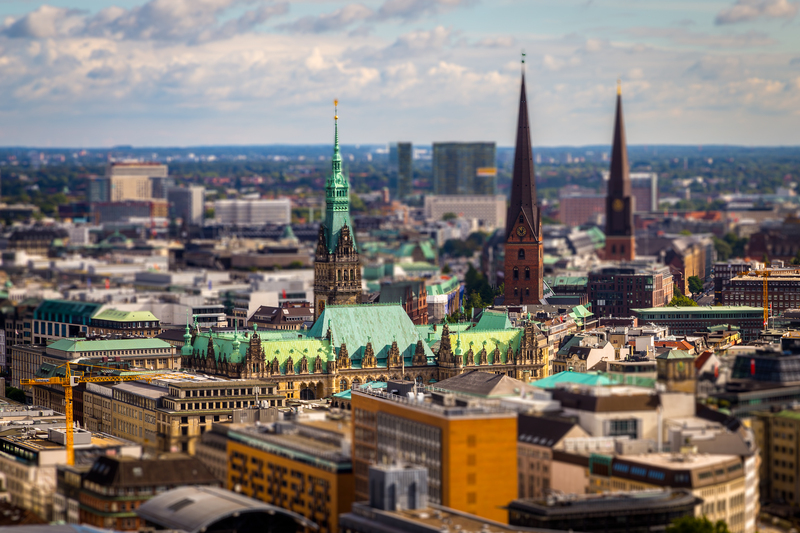 Hamburg is Germany’s second biggest city and is one of the country’s major hubs for industry, finance, and culture. 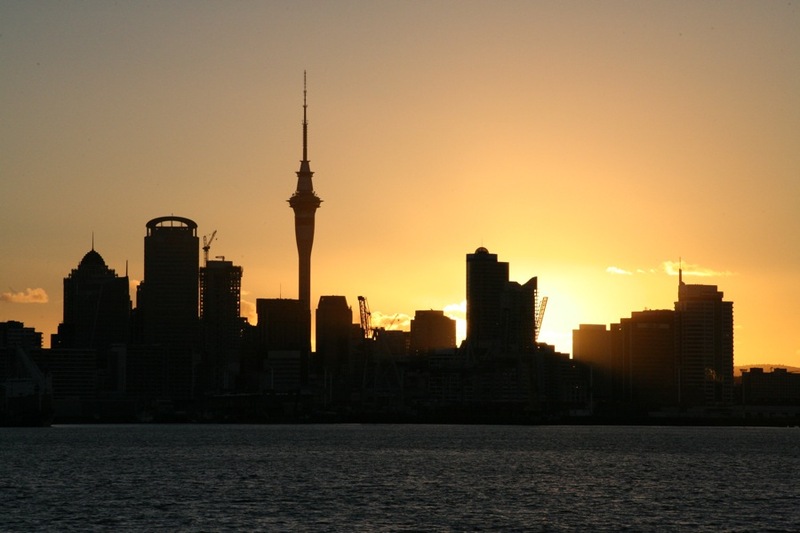 Auckland is surrounded by natural beauty but is also the most densely populated city in New Zealand. The high regard for these cities among expats is no surprise as both New Zealand and Germany rank in the top 4 of the HSBC 2017 Expat Explorer Survey, with Germany leaping six places from 10th position in 2016. Moving to a new city can often mean being so busy that healthy eating and exercise get abandoned in favour of settling in. As with much of central Europe, Hamburg not only has good transport options, but is well prepared for walkers, joggers, and cyclists. 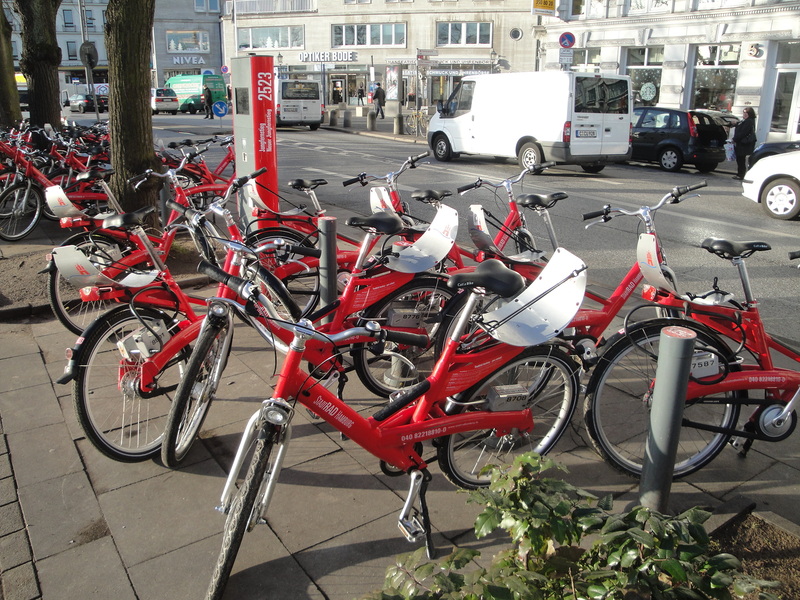 Thanks to a number of government schemes, cycling is one of the most common ways to get around Hamburg. While this is a great way for expats to get to know the local area, it also helps to build regular exercise into the daily routine without thinking about gym memberships during the first few weeks. 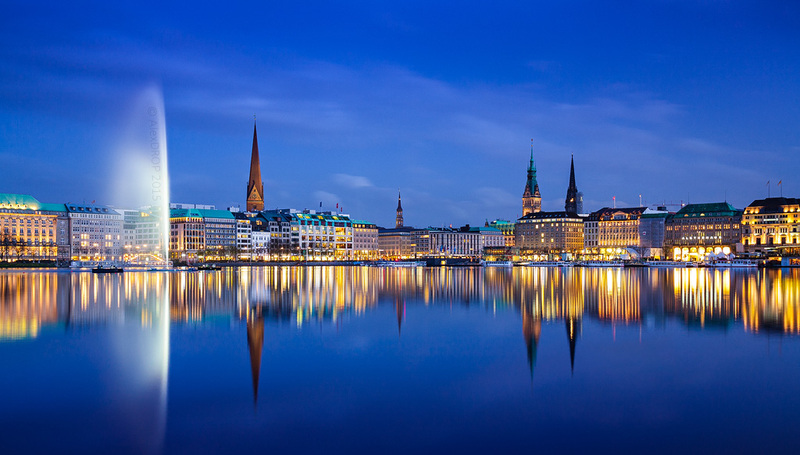 A major port city in the north of the country, Hamburg is Germany’s second city and is a centre for industry, as well as being a major transport hub. 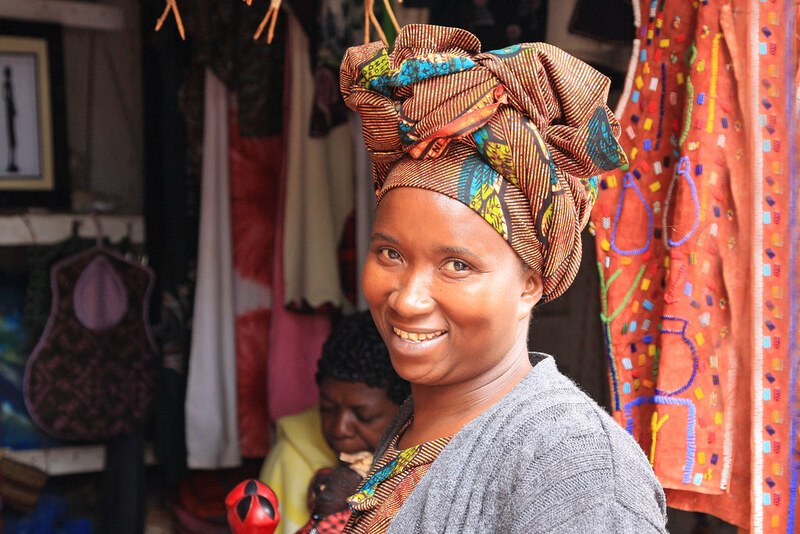 It has been estimated that 30% of the population has a foreign background and represents over 180 nations. This diversity and thriving industry makes Hamburg a hugely attractive option for expats from all over the world. As a port town, Hamburg is filled with scenic locations built around water. The Alster river splits and runs down either side of the city. The result is stunning views across hundreds of bridges, and more canals than Amsterdam and Venice combined. After being bombed during the Second World War, much of the city was rebuilt, lending it a wonderful blend of old and new architecture to complement the area’s natural beauty. Hamburg has a strong link to British expats. This is for many reasons, not least being occupied by British forces during the Second World War, who went on to develop a fondness for the city. This has only been strengthened by a musical connection with Britain, hosting a string of early concerts by the Beatles during the early 1960s. Hamburg’s reputation for great entertainment continues today. With trains running through the night, the Reeperbahn entertainment district and its legendary festival, and a range of concerts and events, there is entertainment to be enjoyed all year round. Expat culture is such that, while the German community are traditionally reserved, the expats in the city are diverse and welcoming towards arrivals from all over the world. This makes it an excellent location for new expats. It is not surprising that Mercer’s 2017 Quality of Living rankings place Hamburg high on the list at number 19 out of 450 cities, well above London, which placed 40th. This is likely due to the combination of good healthcare, effective infrastructure and an attractive culture for expats means. 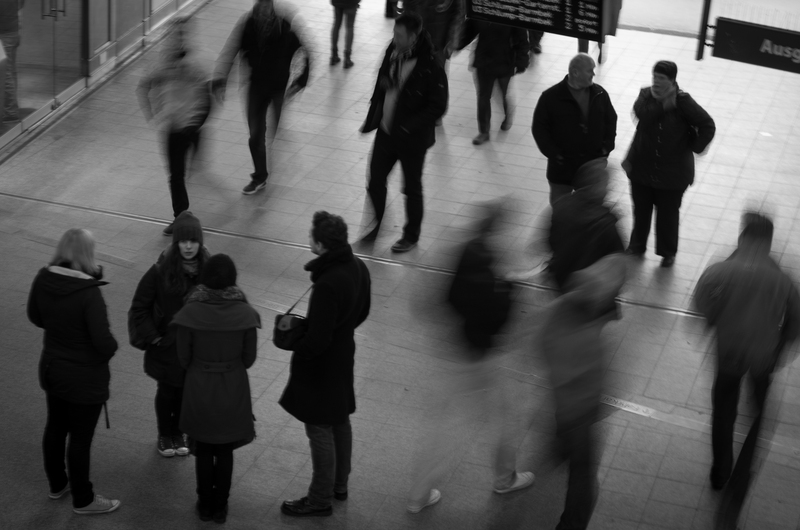 The metrics used to measure quality of life are varied and cover factors including education, health, housing, and the socio-cultural environment. While it might not be the first city expats think of when planning to move abroad, Hamburg’s impressive ranking suggests it is an ideal location for those looking to relocate. Ranked 41st by the World Health Organization (WHO), expats can feel assured that they are likely to receive high-quality healthcare in New Zealand. But, while New Zealand’s public health system is subsidized by the government, generally only citizens, residents, or people holding work visas that are valid for two years or more qualify. This means that new expats may find themselves paying out-of-pocket fees. So, expats may want to consider arranging international health insurance before traveling. Auckland has many beaches, including Mission Bay and Takapuna Beach, which are very close to the main city centers. With such stunning natural surroundings, and typically warm weather, it is no surprise that Auckland has an outdoor-oriented population. 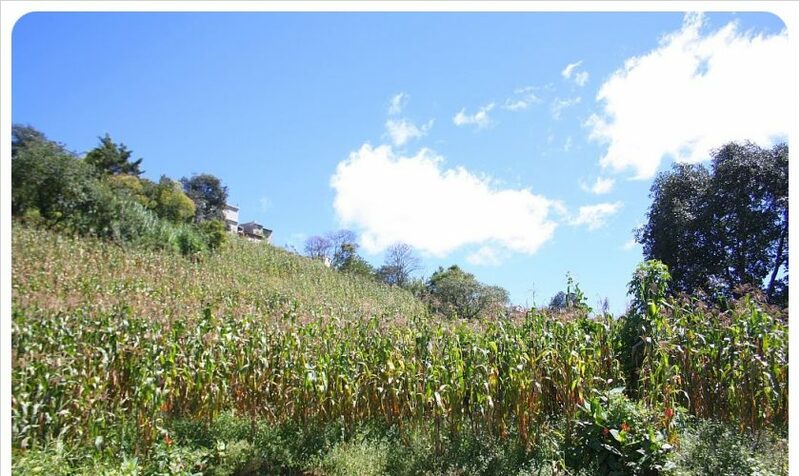 The balance between bustling city life and the serenity of rural living is a dilemma for many people across the world. Auckland solves this problem by offering both. 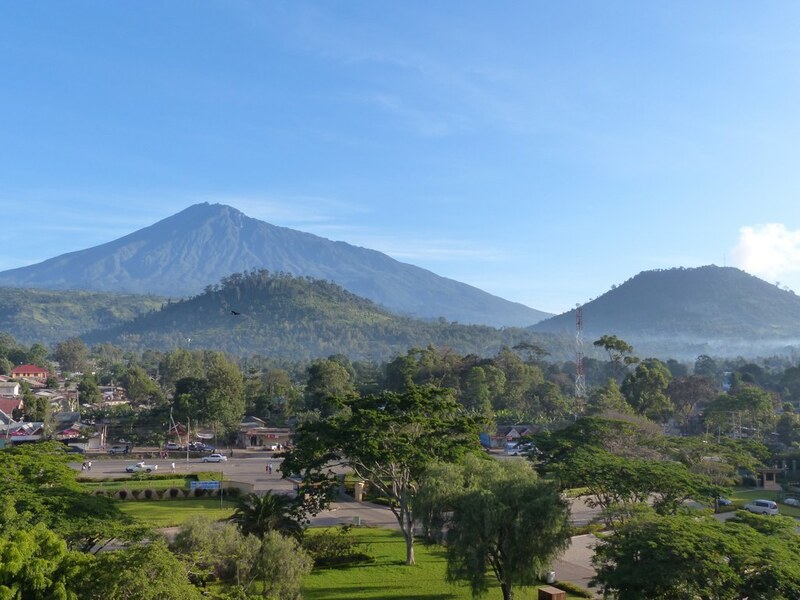 With incredible natural scenery surrounding the city, you’re never far away from a stunning landscape, be it natural or man-made. One of the most charming things about Auckland is the cultural diversity. The city is relatively small, with a population of just 1.37million, but with 39 percent of the population born abroad, it is also one of the world’s most diverse cities. While this allows expats to enjoy the diversity of cultures, having so many European expats is likely to also help with the integration of new arrivals. 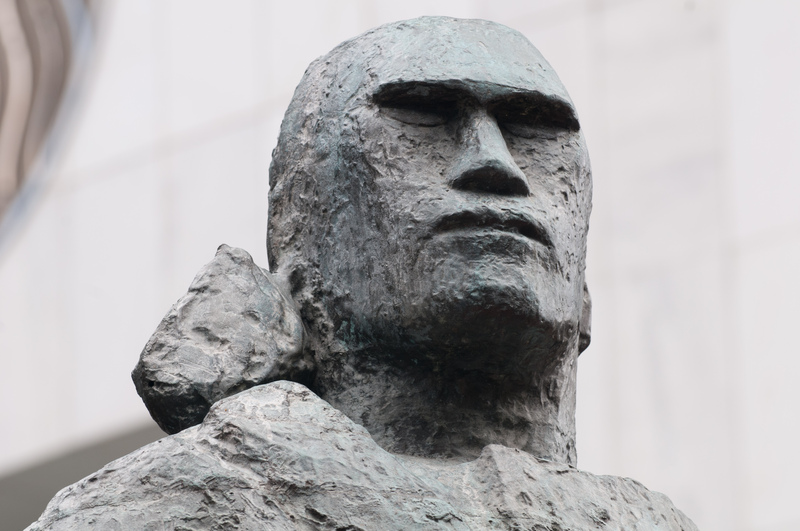 As well as the blend of influence coming from the British, Asian and European populations, New Zealand is proud of its deep-rooted Maori and Polynesian cultural traditions. It is unlikely that expats will be familiar with these cultures. But with frequent celebrations, expats can explore these rich traditions without feeling like an outsider. As well as the lamb, seafood, and cheese that New Zealand is famous for, the range of food options in Auckland is incredibly diverse. 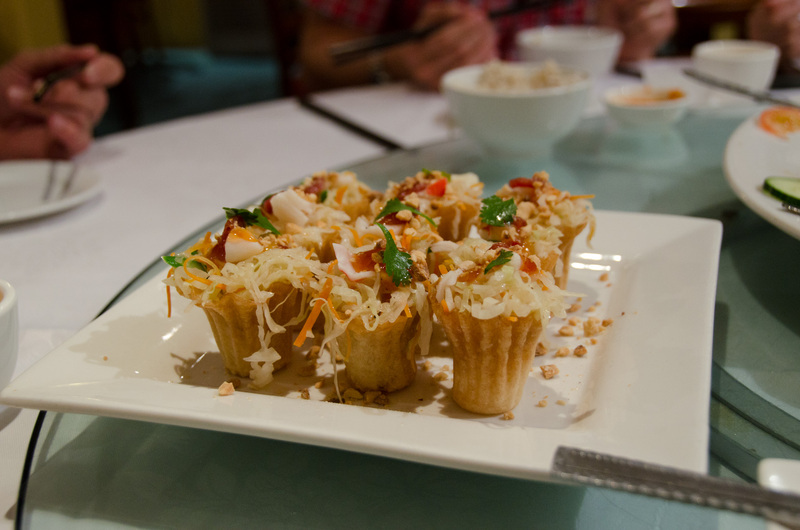 Asian and European food is very popular and is usually reasonably priced. Auckland is known for its excellent restaurant scene, and eating your way around town is always a great way to get to know a city and all of its neighborhoods. This allows expats the freedom to explore the cuisine of a range of cultures, while still being able to have a taste of home, without resorting to expensive imports. Thanks to good infrastructure, strong economies and reliable healthcare, there is much to appeal to expats in both countries. This, combined with the many social and leisure activities, and spectacular blend of urban and natural surroundings, it’s easy to see why expats are making the most of both cities. If you’ve been reading this website for a while, you know that traveling by train is by far my favorite way to travel. 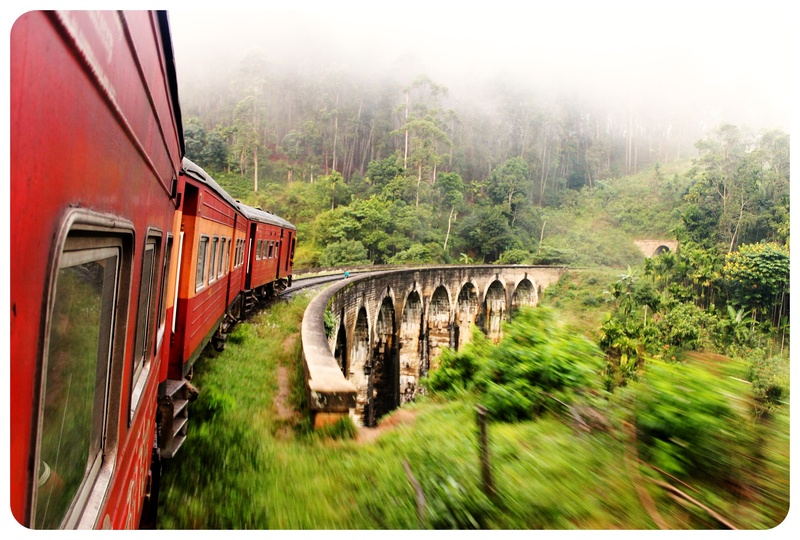 My train trip around Europe in 2015 was one of the travel highlights of the year for me, riding the rails in Sri Lanka was what made the country so special for me, and even though I thought I might lose my life on the roller coaster ride that is a train trip in India, I still believe it was one of the most authentic travel experiences I had there. And while I’ve taken train rides in places all over the world, all over Europe, in Thailand, in the U.S. and in Peru, to name just a few, there are still about a dozen amazing train journeys on this planet that I really want to take. The Rocky Mountaineer train takes you from Vancouver on the Pacific Coast to Banff all the way in the Rocky Mountains. The breathtaking mountain scenery is something you won’t ever forget: glaciers, lush green forests, and snow-covered peak await you on this luxury train, which includes gourmet meals created by executive chefs while marveling at the Rockies from oversized windows (in the SilverLeaf carriages) or even a glass-domed carriage (GoldLeaf). Highlights of a ride on the Rocky Mountaineer include Fraser Canyon’s Hell’s Gate, the wild waters of the Thompson River, an overnight stay in Kamloops, and vivid turquoise mountain lakes. Sometimes even bears can be spotted from the train, and train drivers often slow down when they spot bears near the train tracks, so that passengers have time to snap a photo. Lovers of train journeys undoubtedly will have heard of The Ghan, Australia’s great train which takes you right across the Outback – in style! 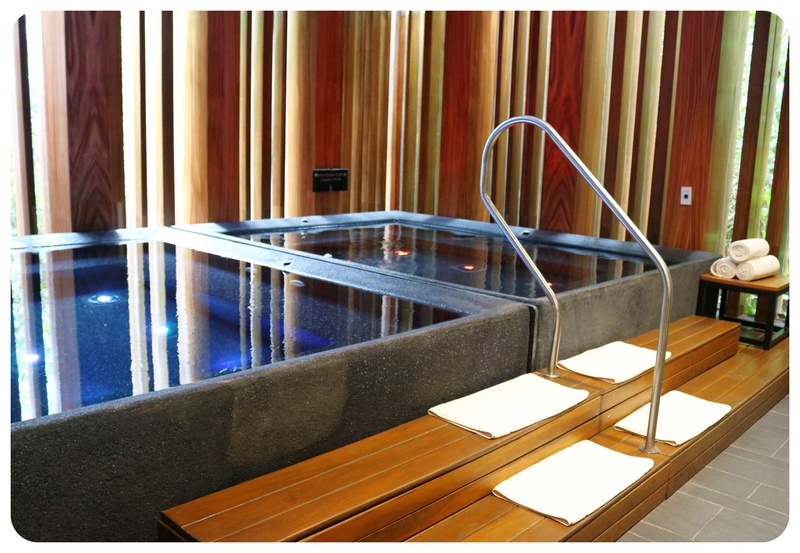 You can travel all the way from Darwin to Adelaide – covering nearly 2,000 miles in three days, while enjoying the luxury amenities on this remarkable train. The train stops in both Alice Springs and Katherine for four hours, giving passengers the option to do some sightseeing. Highlights include the tropical coast of the Northern Territory, the plains in the south, the incredible red colors of the outback as well as the red-hued rocks of the MacDonnell Ranges. This epic train ride was actually the first one to pop up on my personal ‘train ride wish list’, covering 5,772 miles from Moscow in Russia to Vladivostok in Siberia. This train ride gives passenger an idea of how massive Russia and Siberia truly are, taking them for eight days through the changing landscapes of these countries. Highlights include Lake Baikal (the world’s largest freshwater lake), the stunning 3,227 feet long bridge over the River Ob, the dense Siberian forests and the Ural Mountains. Taking the train through the Swiss Alps feels like you are being transported into a painting – the craggy mountain peaks, the lush green valleys, dotted with cows and sheep, and cute Alpine villages with wooden chalets… it doesn’t get any quainter than this! The seven hours on the Glacier Express from glitzy St Moritz to picturesque Zermatt go by in the blink of an eye while you’re trying to take in as much of all the postcard-worthy scenes around you. 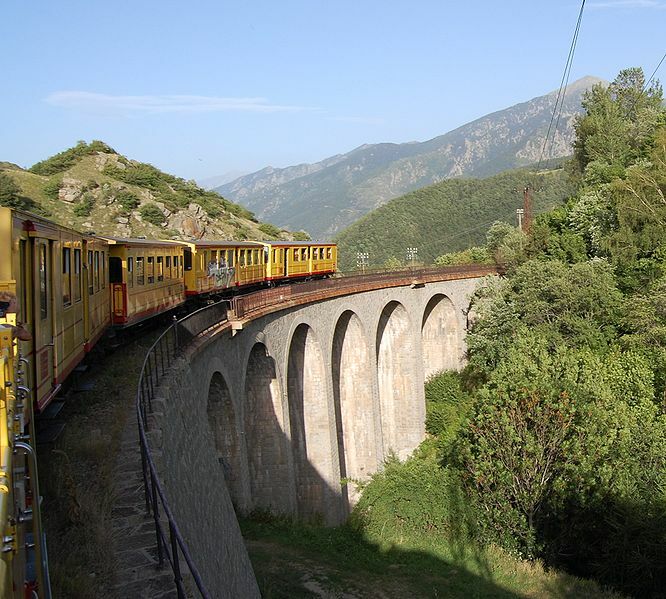 Highlights include the Oberalp Pass (at 6,706 feet the highest point of the ride), 91 tunnels, breathtaking mountain lakes, 291 bridges, and the 200 feet tall, six-arch Landwasser Viaduct. See a theme here? Another train ride through the mountains! Apparently train journeys through the mountains are insanely beautiful, and the West Highland Line through Scotland is no exception. The trip starts in Glasgow but swaps the city-scape quickly for magnificent lochs (lakes), the Scottish Highlands, and remote wilderness, before reaching the town of Mallaig. 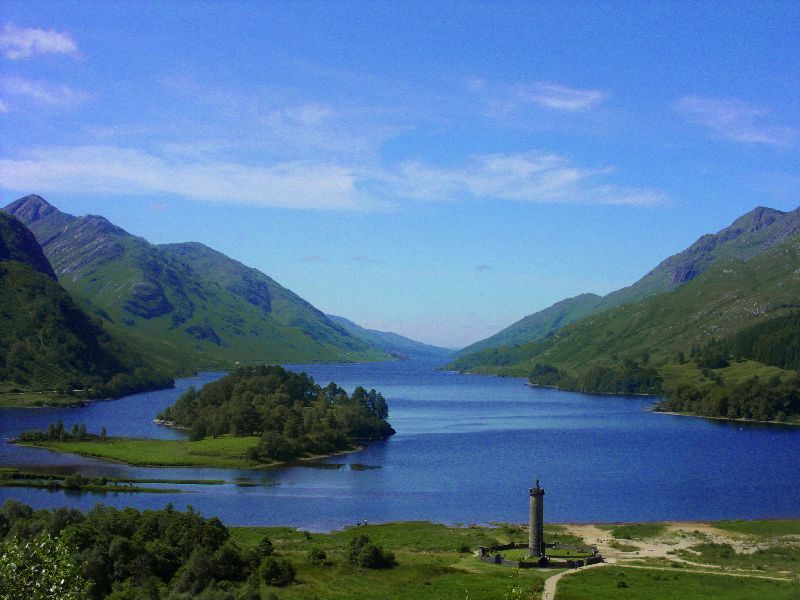 Highlights include the Glenfinnan Viaduct (which was famously featured in the Harry Potter movies as the Hogwarts Express makes its way to Hogwarts), views of Ben Nevis (Scotland’s highest peak) and the stunning Loch Shield. Are you a fan of train travel? 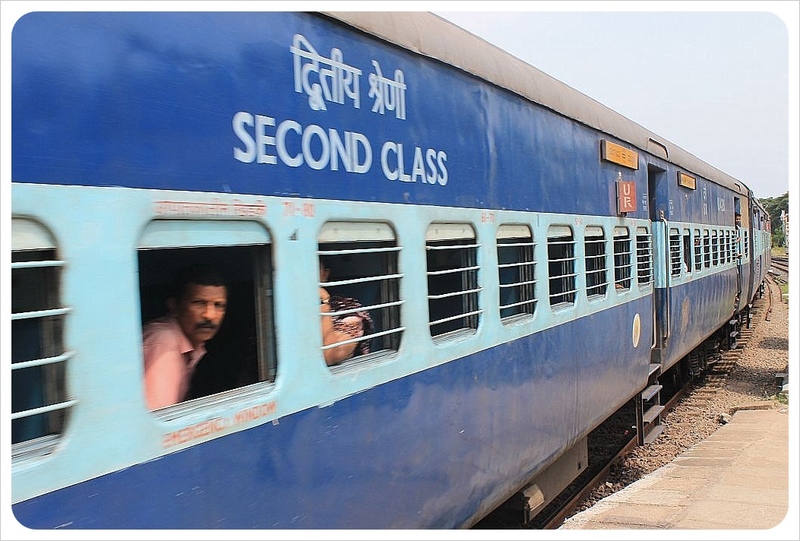 What’s the most memorable train ride you’ve ever taken?